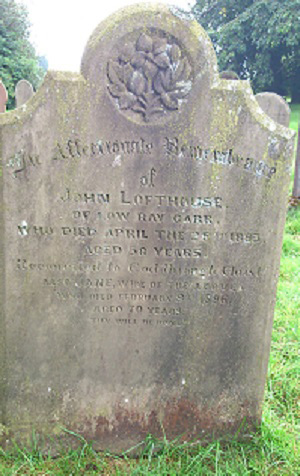 who died April the 26th 1883. Aged 58 years. Reconciled to God through Christ. Also Jane wife of the above who died February 9th 1896. Aged 70 years.